Providing you the best range of led blockout signages, corporate led block out signage, blockout led board and uv printed led blockout signage with effective & timely delivery. Capitalizing on our years of experience, we are able to offer our clients a wide array of Led Blockout Signages . Adopt high purity optical acrylic sheet and high-tech laser-dotting tech. 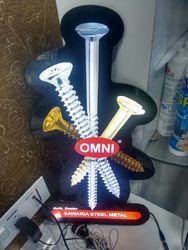 The forte of our company is to provide Corporate LED Block Out Signage. 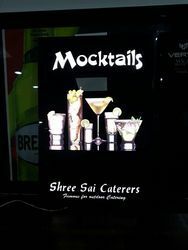 The offered LED signage is designed by utilizing finest quality products in the supervision of our experts along with international standard. 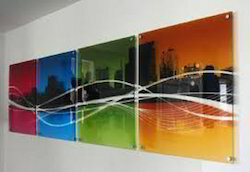 To retain our goodwill in client's consideration, we are offering an excellent quality range of Blockout LED Board. Used at numerous places such as offices, homes, hotels, restaurants, etc. Our in-depth knowledge and industrial expertise enable us to manufacture a distinguished range of UV Printed LED Blockout Signage.